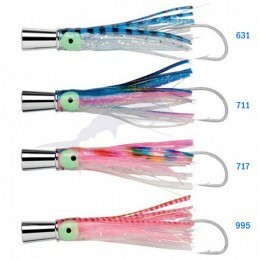 The hottest technique in blue water jigging assist hooks are rigged at the top of the lure where fish usually attack prey. 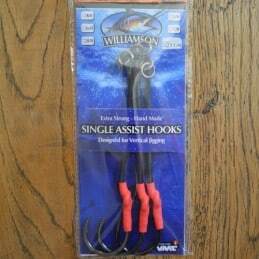 Dynamic Tandem assist hook Williamson. This classic setup comes pre-rigged and ready to add extra commotion to your spread. Unique pot belly shape will get your jig down fast and enable you to fish deeper and faster. 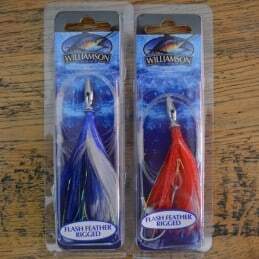 Willamson marlin lure! 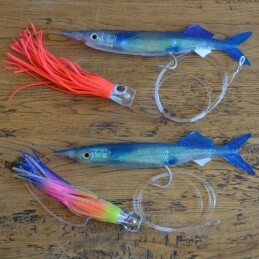 very good results are recorded with this lure! The head produces a very long trail of bubbles, "diamond" facets increase glare. The Dingo Metal Jet is built with a concave reverse-tapered head. 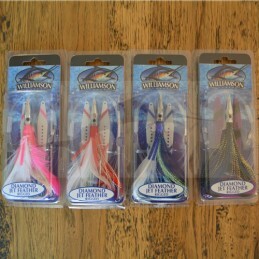 Feather design appeals to all baitfish: Bonito, Mackerel, Bluefish, small Dorado and Tuna.